Drought has come to Canaan and Jacob s sons must travel to Egypt to look for food, including youngest son Benjamin. Their brother Joseph, now governor of the land, wonders if his brothers have changed since the days they sold him into slavery. Would they abandon Benjamin too? 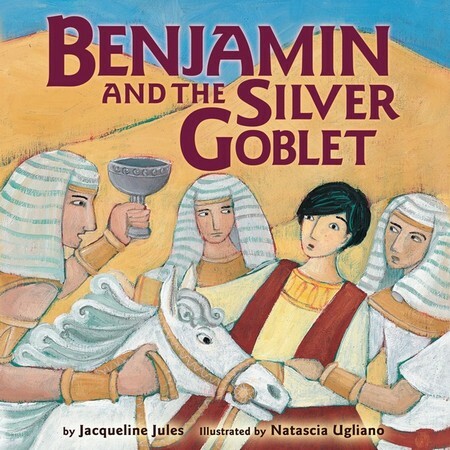 Told through the eyes of young Benjamin, the story of Joseph s test and the dramatic reunion of the brothers will capture the imagination of readers young and old. "Well paced and well told, this familiar story makes itself fresh with a folkloric feel and a satisfying ending. Ugliano's heavily textured, colorful pastel illustrations ably support and extend the text." "A fine introduction to the biblical tale for young readers, with a strong message about the importance of forgiveness and family."